Manufacturers face some financial risk with every product decision they make. The potential effects of ignoring market or technical realities can be devastating. Running a business is occasionally compared to a trip to the casino, and in some ways, this analogy has validity. However, there is one significant difference. The difference between gambling and investing in a business is found in the efforts made to mitigate the risks associated with each wager. Gamblers embrace risk and depend upon luck to see them through to a large financial reward. They avoid low-risk, low-payout games because the rewards are not worth the time and effort required to play; they seek out the high-return, high-risk games. Although they insist their “personal system” makes them smart players, the fact is, gamblers really can’t affect the odds that guarantee the house will always win over time. For enterprises, the investment-wager analogy is readily seen in the process of funding product development. For most manufacturers, this process seeks to minimise the risk involved by gathering market intelligence and evaluating multiple ways to address a solution. Finally, the effectiveness of the solution is estimated from a price/cost standpoint. When product managers and engineers get together to talk about product development, there is always some tension between the two groups. Product managers see products in the light of marketability. The size of the market and the cost associated with getting a product to address that market will drive their decision-making. Engineers see things from a more technical point of view. They solve problems through the creation of technical solutions. For them, the ability to solve a problem is an accomplishment unto itself. That solution may be unique, astounding and revolutionary in nature. From a marketing perspective, it may be gold or it may be useless. Each of these five failures can be significant enough to do serious financial harm to the enterprise. Dollars are lost on projects that provide no return, or in the case of the last factor, the product sells well but fails to perform as advertised causing customer dissatisfaction and financial liability. Obviously, any of these five failures carries some financial risk, and that risk may be great. The cost associated with research and development (R&D) can be enormous. Bringing a finished product to market only to discover that it is without any perceived benefit or it is priced beyond the perceived benefit means loss of time, dollars and opportunity. All the while, competitors are likely to follow with products of their own that may be cost-effective. When the development requirements for a new product are misunderstood or trivialised, the development cycle will balloon in terms of time, personnel assigned and dollars expended. A million-dollar project to address a five-million-dollar market may suddenly require 10 million dollars to complete. Products delivered to market that are ineffective, either by design or by miscommunication of their capabilities, will create substantial liability for the manufacturer. Product returns, demands for refunds and even litigation associated with loss suffered by the buyers will turn a financial winner into a dollar-bleeding disaster. When product development teams look for data about potential new products or product improvement projects, they should have, at their disposal, a number of tools to inform that process. Products all have functional strengths and functional limits. Marketing planners frequently look at their products and compare them with those of their competitors by using a white-space matrix. The products run along one axis, and the assorted specific functionalities delivered run along the other. Each product gets a check mark for those functionalities addressed. The white space (those areas that are unchecked) represent development opportunities for product teams that seek possible ideas for new products or new features. Market data can be collected using common internal systems, as well. Customer relationship management (CRM) systems can effectively isolate potential buyers through demographic filters and help identify functional white spaces in the products installed within the company’s user base, as well as in the product itself. This data offers an excellent basis for identifying opportunities and audiences, sizing the market and helping engineering identify specific requirements for the potential development project. Product managers and engineers both bring critical information and expertise to the table in terms of identifying product development opportunities and evaluating the effort required to bring a solution to market. Both disciplines are needed. The potential effects of ignoring market or technical realities can be devastating. 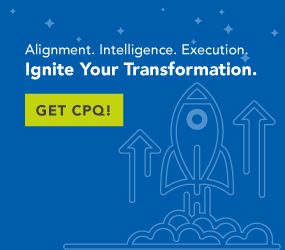 Utilisation of CPQ and CRM technology and the data they deliver can significantly reduce this risk and make your product development wager a safer, less-risky investment.